Playa de la Tejita is considered as one of the best beaches in Tenerife with more than three kilometres of golden sand. El Medano is a costal seaside resort on the southern-most tip of the island. Its famous Red Mountain can be spotted from quite a distance, a volcanic cone mountain known locally as Montaña Roja rises above the sea on the Los Abrigos side of El Médano. 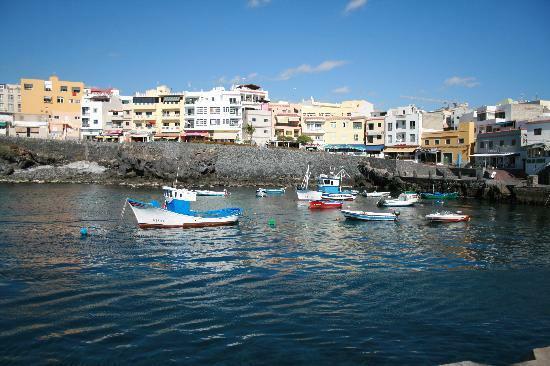 Neighbouring fishing village Los Abrigos is where you’ll find some of Tenerife’s finest fish and seafood restaurants. Only 7 kilometres from Tenerife South Reina Sofía international airport is another major bonus. El Médano not only popular with surfers and windsurfers is a favourite with tourists and locals who can be seen relaxing and soaking up the sun in the main square the Plaza del Medano.. It’s here that weekly markets and regular Festival are held. Festival Sensaciones is one to look out for, held in September, a celebration of the best local food and wines. The Plaza del Medano is filled with a large variety of creative and delicious tapas from the best restaurants, together with a good selection of red and white wines, sweet and dry, young light wines or older wines with distinctions. Many quality products from the Island like golden honey of all colours and flavours, wonderful breads, goat cheeses – fresh, semi-cured or mature are in abundance plus excellent traditional jams, sweets and cookies. As well as many typically Canarian restaurants and bars, you’ll find many smart cafes and a variety of live entertainment. El Medano is only a short bus ride from the well known tourist resorts of Playa de Las Américas, Los Cristianos and for the golf enthusiasts the Golf Del Sur and Amarilla Golf. Tenerife’s El Médano is the favourite place of surfers and windsurfing enthusiasts. El Médano attracts windsurfers due to the amount of wind the town receives and is well known for its many water sport competitions. A firm favourite with the surfers and windsurfers is El Medano’s very own underground rock music club which has a great following on Facebook. Anyone who loves nature and walking cannot fail to be enthralled by Red Mountain, popular with walkers, botanists and naturalists alike due to the number of rare and unusual plants that can be found there and on the surrounding dunes. Los Abrigos is a small coastal town located by a strip of sea that is quite an attraction for the beauty that comes from their environment and is part of the municipality of Granadilla de Abona, south of Tenerife, which stretches across an area of 155 square kilometers. Among its many attractions are restaurants specializing in seafood and an increasing growth of tourism attracted essentially by the peaceful everyday environment . The harbor area where fishermen converge is a pleasant mix of outsiders and locals. Seafood dishes served here are among the finest in all Tenerife. 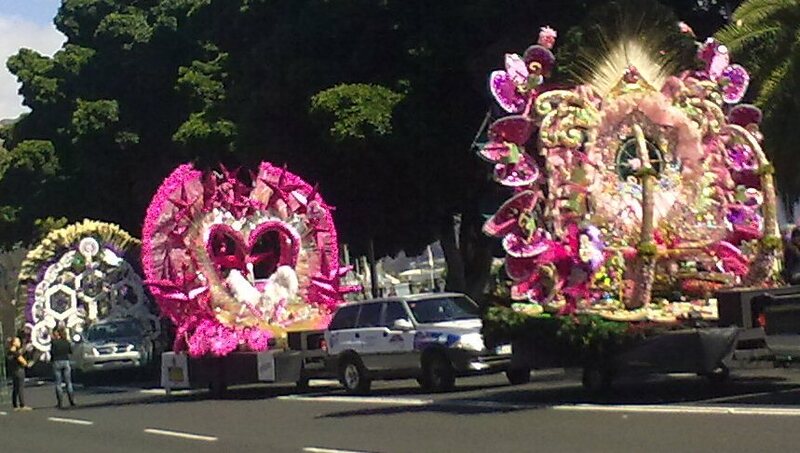 The area is rich in local Tenerife culture and commemorates numerous festivals and music festivals. Every June 13, they celebrate the festival in honor of San Antonio de Padua, patron of Granadilla and consists of a large procession that culminates in a great festival in the town square. The main attraction of Los Abrigos is almost year round sun but a comfortable temperature, especially at night when the weather is cooler from the sea breeze. The Department of Services headed by the socialist Juan Rodriguez Bello, has recently proceeded with the implementation of a major shock in the coastal village of Los Abrigos consisting of expanding the number of parking spaces, as well as demolition and field condition in an area close to the beach, fishing shelter and refreshment area. Also is under way to unify and extend the sidewalks in the same area in order to improve accessibility and safety for pedestrians and visitors. Bello Rodriguez notes that performances is “necessary” to improve the economic activity of fishing enclave, since the problem of parking was hurting the business in some cases to prevent the opening of several locals. It also mentions that Bello Rodriguez, with the collaboration of the Department of Environment which is responsible Donate Jacob, and the Department of Security who heads Guacimara Gonzalez, are working to improve the aesthetics of the waterfront of Los Abrigos through implementing various artistic performances to be given with greater seafaring identity to the core. There have also been improvements in urban signage to facilitate our visitors parking and transit of our neighbors. This, argue the Socialist councilors, has been carried out by personnel of the service area and paid for by the municipal coffers, to respond to requests that have sent us neighborhood associations and business due to the state it was in this area Los Abrigos, and that is the gateway to one of our areas of beaches and restaurants. These works, as executed by the Coastal Improvement Plan of El Medano in previous months, will make a “significant” improvement for two separate cores. The coastal village of Los Abrigos is undergoing various actions that seek to improve its image, its services and accessibility to the waterfront area. The departments of General Services and the Environment of the City of Granadilla socialists who run and Jacob Bello Juan Rodríguez Donate, respectively, have initiated such works after this project enclave Septenio sailor uphold the government’s 2011 Islands, consisting of identification of cultural, social, economic and tourist to positively enhance the life of this coastal town granadillero. One initiative is the recent completion of the mural design that welcomes the port of Los Abrigos. With more than 75 meters from images of medieval aesthetics through elements of ancient marine cartography, the mural portrays the arrival of the galleys by Canarian waters targeted by Compass Rose, saving the great sea monsters and reach the islands, specifically, the people of Los Abrigos. You can also find pictures of traditional fishing in the area. 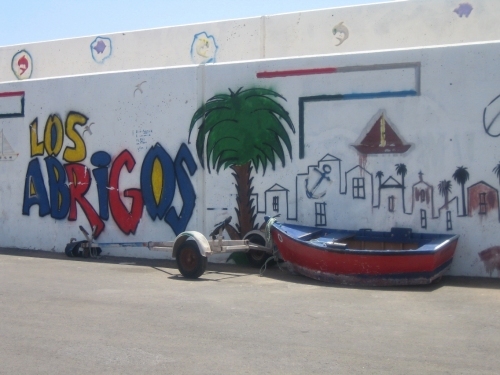 The mural was designed by a group of young people from the association Mahore , social intervention for the promotion of social integration, who welcome reception from the consistory and neighbors and neighbors who have helped and been interested in translating between all the history of this people linked to the sea. 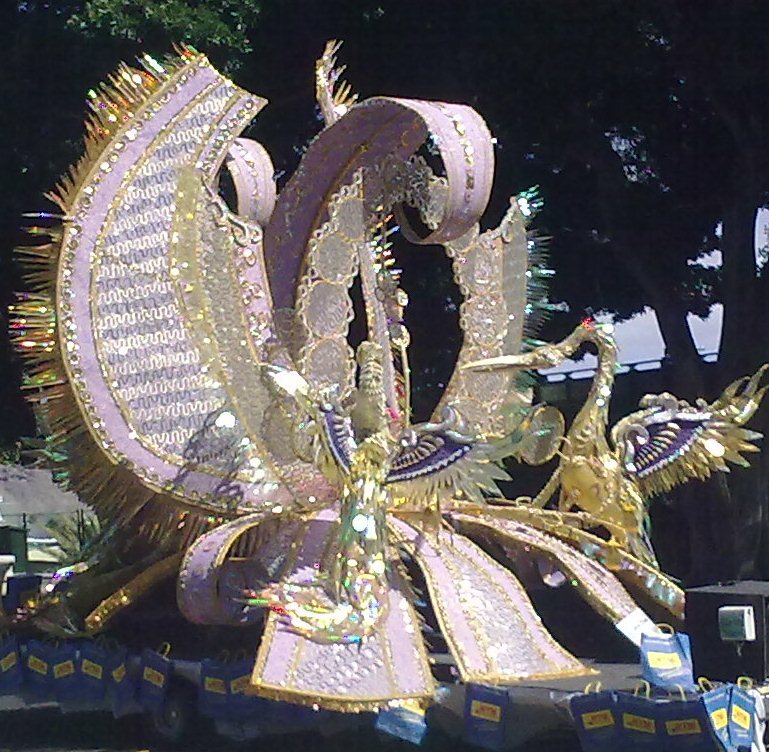 The councilors said they also are finalizing other artistic works, counting for it with the help of neighbors and fishermen, “and give the Paseo de San Blas two seafaring sculptures alluding to historical aspects of the core, by what we give and compliance to election commitments, in order to improve services and the tourist image “. Also the Department of General Services has set up a power box that responds to the demands of the fishermen’s wharf and the party committee itself, thereby eliminating the electric motors. In this sense, the president of the said festival committee appreciates the collaboration in this regard. Meanwhile, the mayor of Tourism, Nuria Hernández Delgado emphasizes that such interventions, accessibility and image, “favor the perception that tourists and general visitors have of our destiny, as a differentiated and unique, inviting them to stay and enjoy a place as iconic as Los Abrigos”. The celebrations of the fishing village of Losbrigos in honor of San Blas, start Wednesday September 7 with the choice of the child queen from 20.30 on Thursday while the adult queen will be chosen in the great gala starting at 21.00. Saturday 10th will celebrate Mass and then a procession to the dock, loading of the saints and fireworks display. The evening will conclude with dancing entertained by orchestras Feels Gomer. The band of bugles and drums Icod San Juanito from Sunday 11 to accompany the procession from the church to the dock, where they held a wreath by the missing at sea. 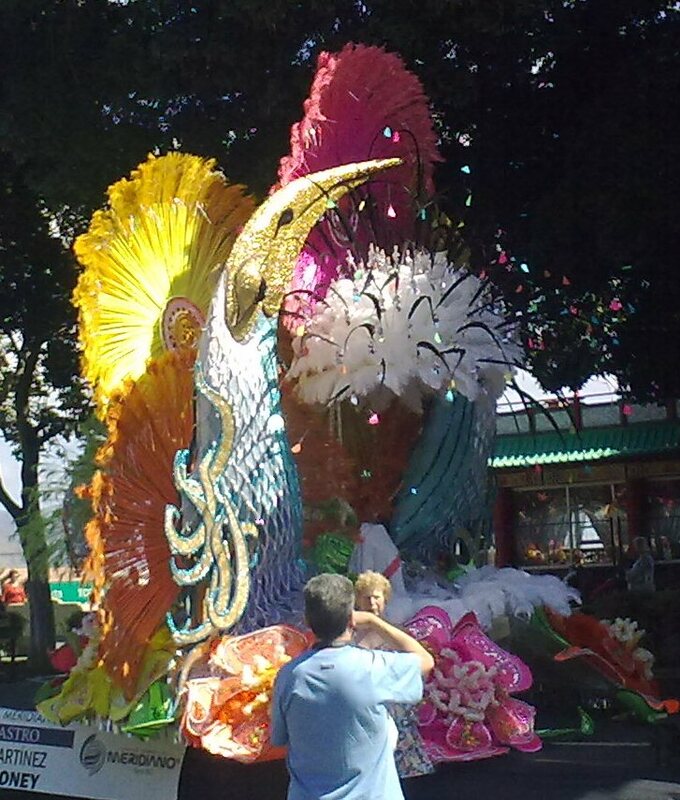 At noon there will be paella, water games in the afternoon and evening a festival with the orchestra Wamampy. On Monday September 12 will take place soccer match between single and married; foam party on the dock and music by the orchestra Kimbara. Tenerife is served by two airports, Tenerife North Airport which is located about 11 kilometers west of the capital, and Tenerife South Airport which is about 37 kilometers south of the capital. In 1978 the new Tenerife South Airport (TFS) was created to meet the growing need of holidaymakers. The island of Tenerife attracts the highest passenger movement in the Canary Islands with 12,751,583 passengers. Tenerife North and Tenerife South are almost like two islands in one because they are so different. Tenerife South Airport, previously known as Tenerife South-Reina Sofia Airport, is served by a number of low-cost carriers, including Monarch, EasyJet, Jet2 and Ryanair, which connect the airport to many cities across Europe, more so than Tenerife North. Tenerife North is 10 km from the cruise terminal the less busy of two international airports of the largest Canary Island of Tenerife. The airport disaster of 1977 was a collision involving two Boeing 747 passenger aircraft on the runway of Los Rodeos Airport, formerly Tenerife North, on the Canarian island of Tenerife, and prompted the early opening of the airport in the South. Rodeos airport is in a complicated geographical area which can hinder navigation. it is a very convenient airport for residents in the north of Tenerife and tourists staying in places like Santa Cruz de Tenerife and Puerto de la Cruz or want to travel to other islands of the Canary archipelago. Tenerife has always been known for cheap flights but since Ryan Air and Monarch Airlines joined the competition there has been a rush of even cheaper flights. It is a medium sized airport connected to the rest of the islands and parts of Spain such as Barcelona, ​​Madrid, Bilbao and Seville and well connected by several bus lines (buses) TITSA local company to many parts of the island. The most notable is the line 102 which connects Santa Cruz de Tenerife in Puerto de la Cruz via the Laguna and other peoples of the north. It has a daytime frequency of 30 minutes and there are night services. Other lines to note are the 107 and 108 bound Buenavista del Norte and Icod common with many stalls serving various local villages alternating with a frequency of 1 hour. Also this line 343 connecting the two airports in Puerto de la Cruz and Los Cristianos. You can find more information on routes, timetables and fares on the website of TITSA.